Our Tiki Bar Package will make your Hawaiian Luau the best party in town! 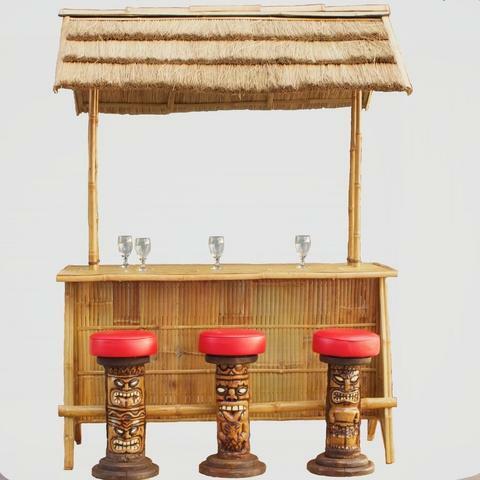 The package includes our 6' Tiki Bar, 3 Hand-Carved Wood Bar Stools, 1 Beverage Tub, 1 Bus Tub and set-up is included in the price. Looking for something more? Add on a Kegerator or Margarita Machine.